As organized as I am, I struggle with menu planning. I love to cook. I love good food. I collect cookbooks like some collect antique dishes, or shoes (yet, confess I have a little issue there too). Home is the smell of fresh baked cookies. Friends should be gathered ’round the table. Fellowship is centered on a beautifully set table with a savory meal. Maybe it’s a Southern thing. I don’t know, but I love food, I love cooking and I love serving. So, one would think this menu planning thing would be a breeze. WRONG! I struggle. I have decided, like so many things in life, I just get overwhelmed by the array of choices, I like change, and well, to be real honest, my expectations are just way too high. I’m not satisfied with serving leftovers, frozen meals or chicken nuggets. I fall into bed feeling disgruntled and disappointed. I know I shouldn’t, and by no means am I judging those who can throw Stouffer’s in the oven or heat up some nuggets and go merrily on their way. I’ve tried the on-line meal planning services, I have printed off at least 12 different, adorable menu planning sheets, heck, I’ve even purchased some! All to no avail. I give. I have decided I’ll never be the mom that has a year worth of menus, or rotates weekly or monthly dishes. Just isn’t going to happen. It’s just not me. I am embracing me. The best I can come up with is a monthly plan, kind of sort of. I print off a plain old ugly blank monthly calendar. I spend an evening going through recipes, write down the recipe book and the recipe page number and add the ingredients to my grocery list. Then there is this whole coupon thing I do, but I’ll post about that next week. I do everything in my power to do one BIG grocery trip per month, but usually end up doing two middle sized. I don’t stockpile. No purpose. I rarely cook the same things. I do keep on hand a few staples, and yes, in reality I do have about 5 “go to” recipes. In the end though, as said, I am embracing who I am. My creative outlet is cooking. I am giving myself room to experiment, print off those yummy posts from Pinterest and see what the family says is a keeper. AND, when my friends treat us to a scrumptious meal my gang won’t quit talking about, I beg for the recipe. Today’s recipe is just such a recipe. It’s from my dear friend Lisa Blake, who also happens to be my girls’ god-mother (and the coolest one ever in their eyes.) She and her husband live on a “mini” ranch in TX, so only fitting that on our last visit she treated us to THE BEST fajitas. Of course, everything tastes better in Texas, right?! Mix the Italian Dressing, Soy Sauce and spices. Pour over the chicken. Wrap tightly. Let marinate overnight. Cook the chicken breasts on the grill. Mix up one half cup of the Italian Dressing and Soy Sauce (equal parts). 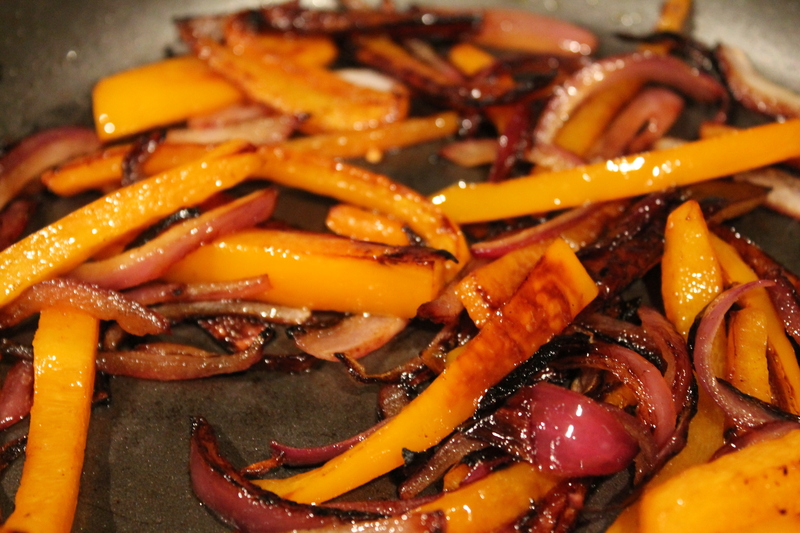 Saute sliced onion and bell peppers in a little bit of olive oil. Pour the Italian Dressing/Soy Sauce mixture over the onions and peppers and cook on low in a skillet. 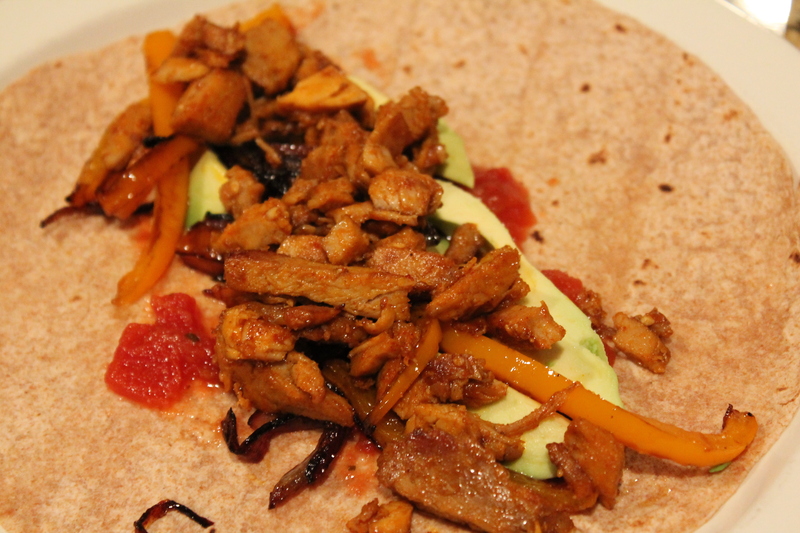 Serve with white or whole wheat tortillas and condiments (avacado, salsa, cheddar cheese, sour cream). Add a side salad and you have a great, easy to prepare, quick dinner. I promise, this marinade will have you hooked. 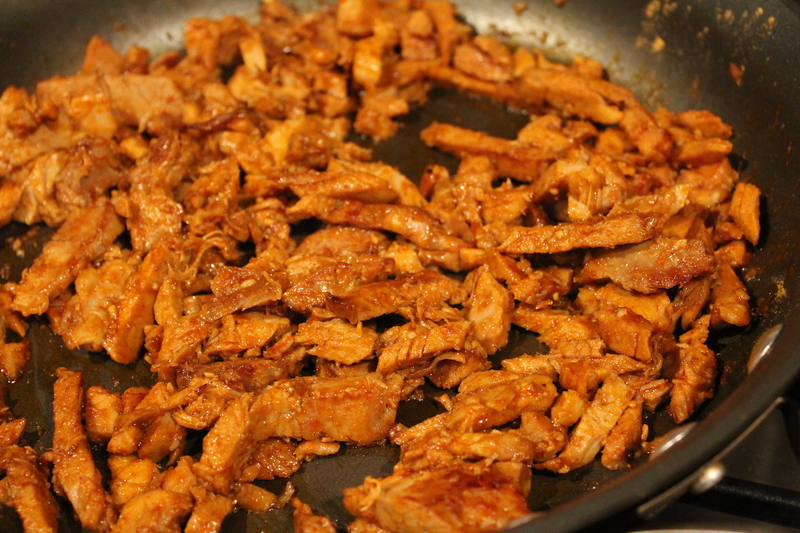 Who knew-soy sauce in your Mexican food! I’m gonna keep working on my menu planning, but don’t get your hopes up. I’m learning to let myself off the hook for some things, but more importantly, learning to embrace the me I am and love living life.